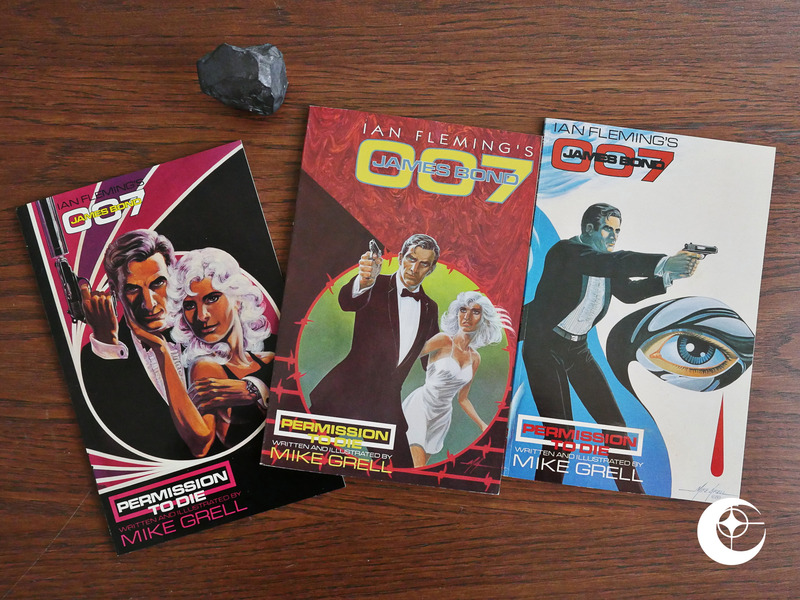 James Bond: Permission to Die (1989) #1-3 by Mike Grell et al. 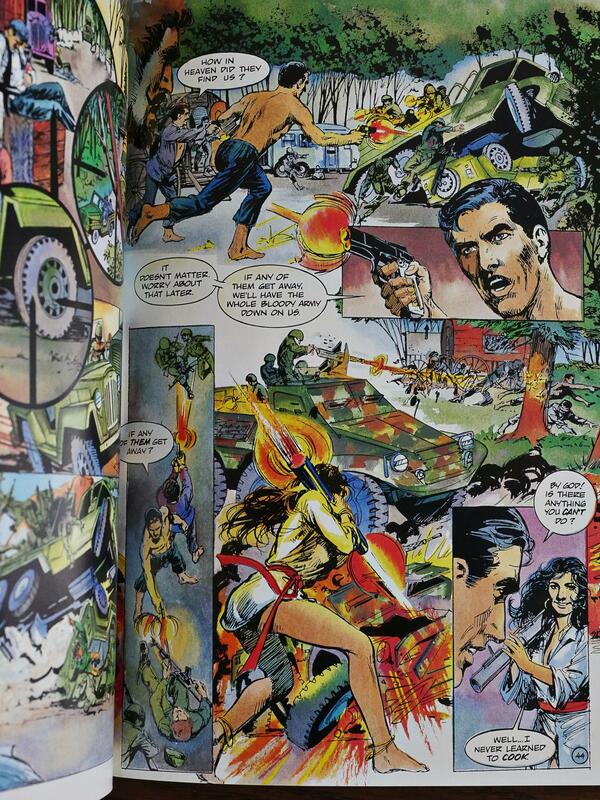 Eclipse published an adaptation of the current James Bond film later in the year (if I’ve got my chronology right, which I may very well not have), but this is an original work written by Mike Grell and apparently not based on any of the books or movies. It was published in three 48 page squarebound “prestige format” books, popularised by DC with The Dark Knight and Grell’s own Green Lantern: The Longbow Hunters, which, at the time, I think everybody felt was the epitome of what was wrong with the new wave of post-Watchmen “mature” superhero comics: It was just as stupid as the old ones, but drenched in gristly violence. So what’s this going to be like? Bond films are action/adventure movies with a dash of comedy, and the latter is, perhaps, not what Grell is most known for. But it starts of pretty well, with an action sequence where we see somebody pulling up a knife from their socks and killing a terrorist (somehow the blade had become pre-splattered with blood, but never mind). And then that person pulls a gun from their garter belt, and then that person is revealed to be James Bond in a kilt. That’s an amusing way to introduce the character, and sets the right tone for a Bond epic. 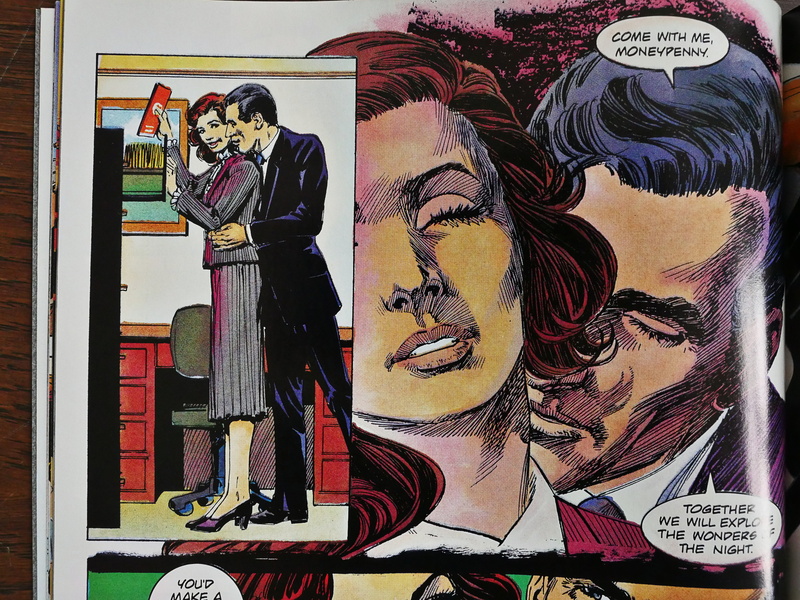 … and then the obligatory Moneypenny and Q scenes. 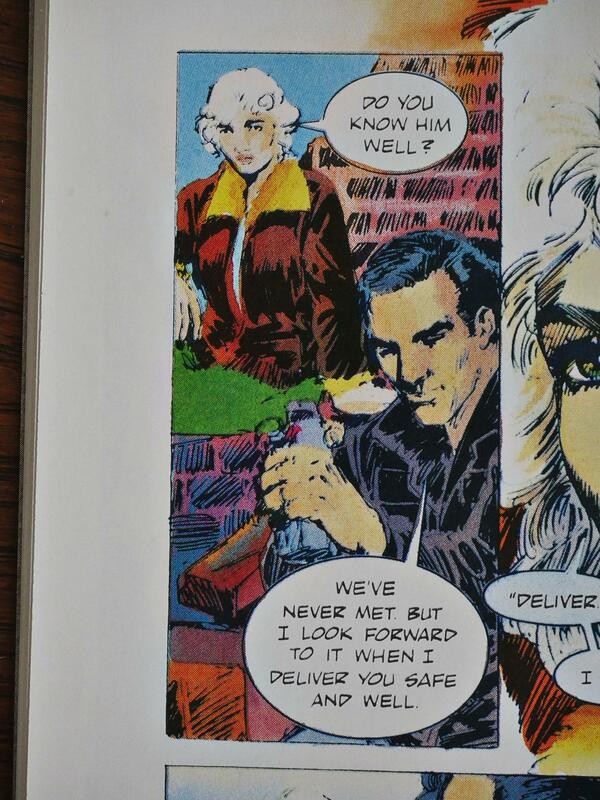 Even name-dropping the current Bond film and the name of the comic itself. It’s all nice and safe. It’s only when the plot starts properly that the problems crop up, because it basically feels like, for the first two issues, that Bond just goes over the same area again and again without getting much of anywhere, and that’s no fun. While there are action sequences, they’re not told very well. I first thought the woman with the bazooka (yes, I know, they’re not called that) was shooting… something that’s almost beneath her legs, but it’s supposed to be a vehicle that’s… far? from her? And is it supposed to be underneath the bigger vehicle above it? 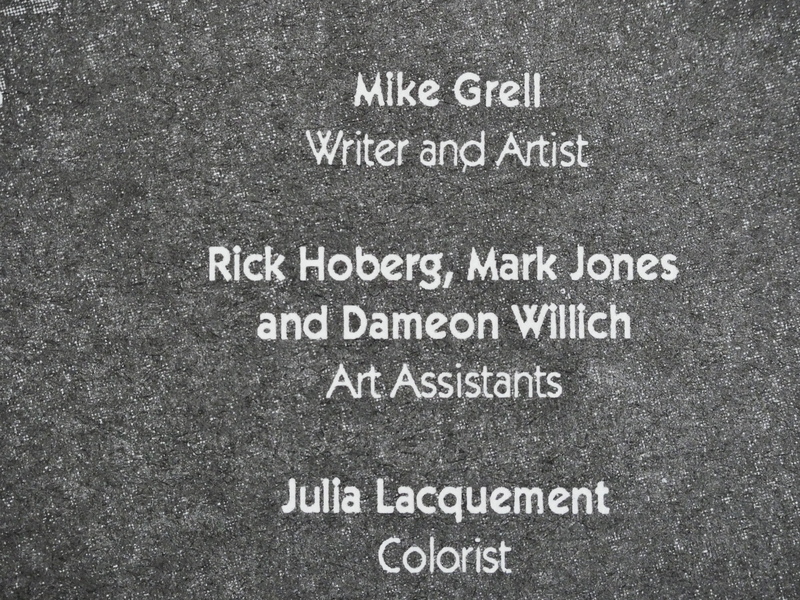 Or is that a different panel? Is she shooting at the bigger vehicle? What’s going on? 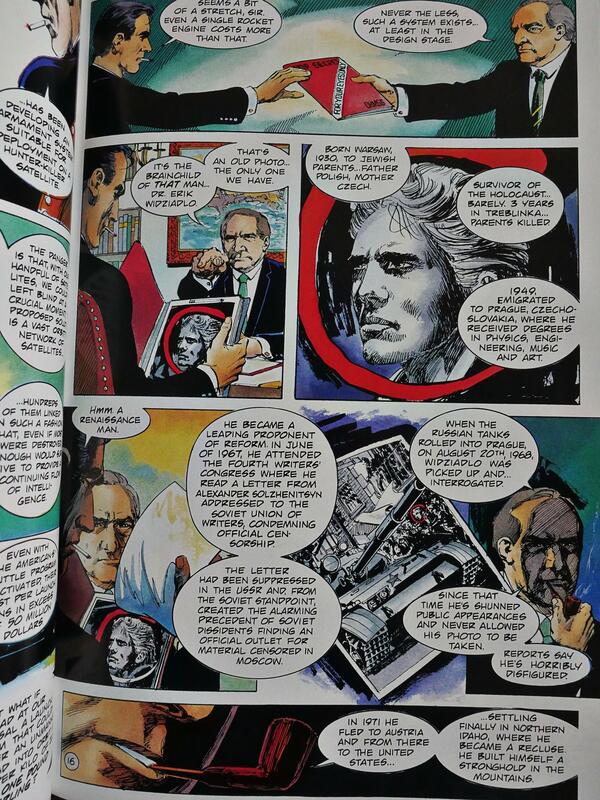 I wondered how Eclipse landed up with the Bond franchise in comics form, and this is the explanation: It’s through Acme Comics, who, I’m guessing, had the right contacts, for some reason or other. It’s a common thing throughout Eclipse’s history: They end up publishing things brought to them by third parties. 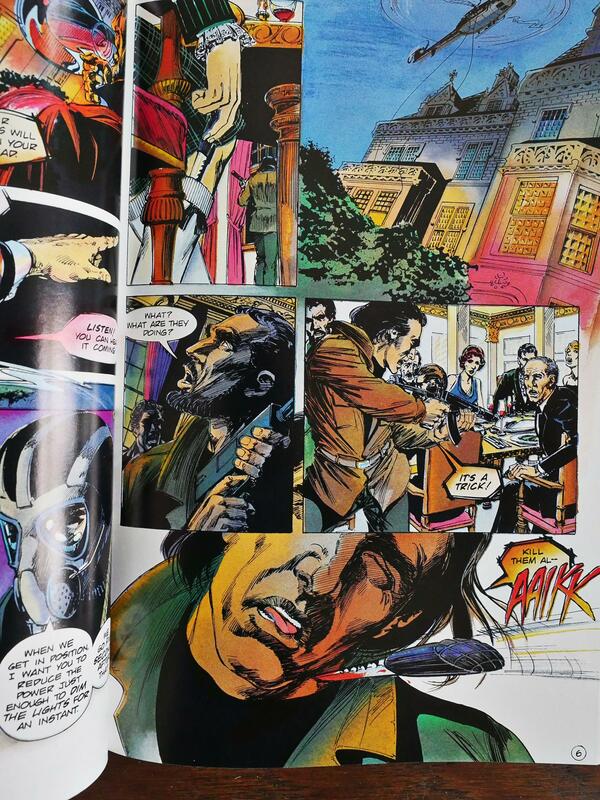 The printing of this book is mostly very nice, but there are panels, at random, that look like this. Either the printer fucked up somehow, or Grell just forgot to finish certain panels. Grell’s Bond bon mots mostly make very little sense. You can see the structure of the joke, but it’s not very… er… funny. He blew somebody up, so they lost, and they went to pieces. I guess. There’s a lot of people standing around talking to each other here, but the action sequences are sometimes harder to get through. 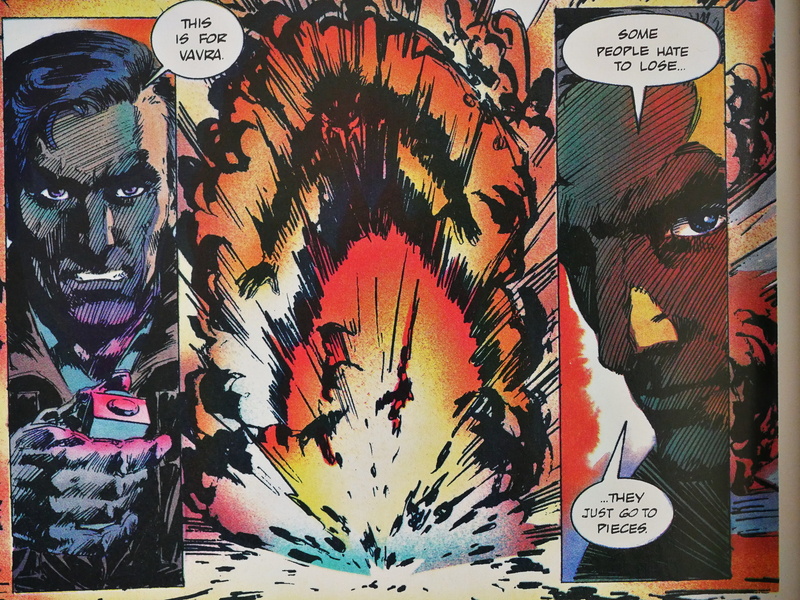 Glance at this spread and try to guess the order of the “panels”: The eye is immediately drawn towards Bond jumping at the barrel, but you are suposed to read across the top first, and then make your way back to the left diagonally, and then over to the right again. There’s nothing that leads the eye here. 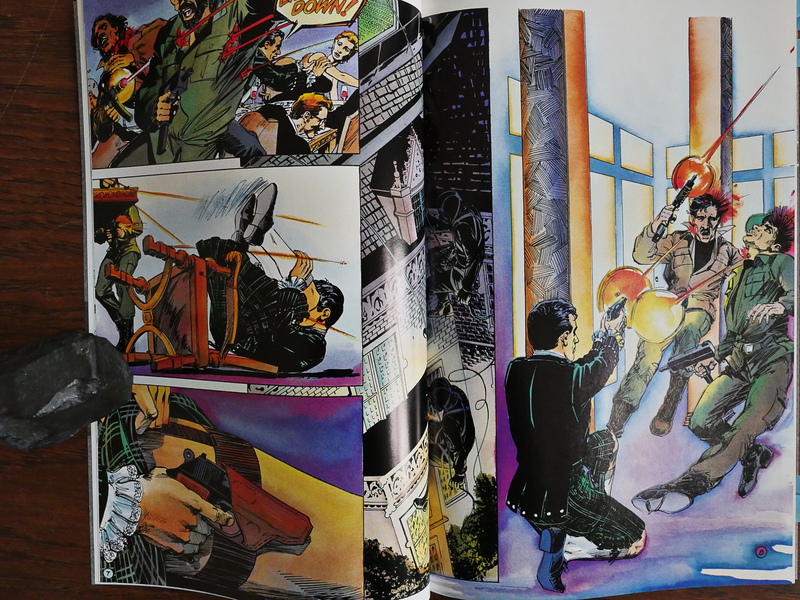 Eclipse collected the series in one volume in 1992. 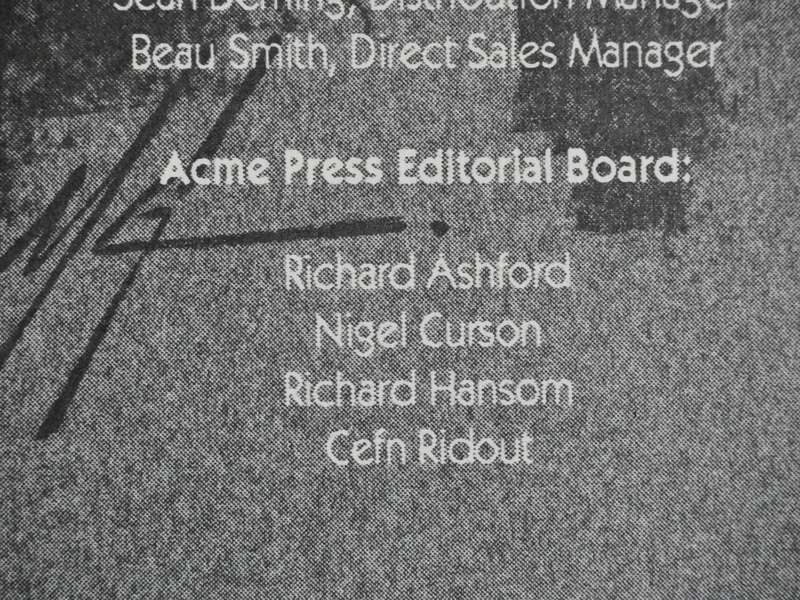 It hasn’t been reprinted since. 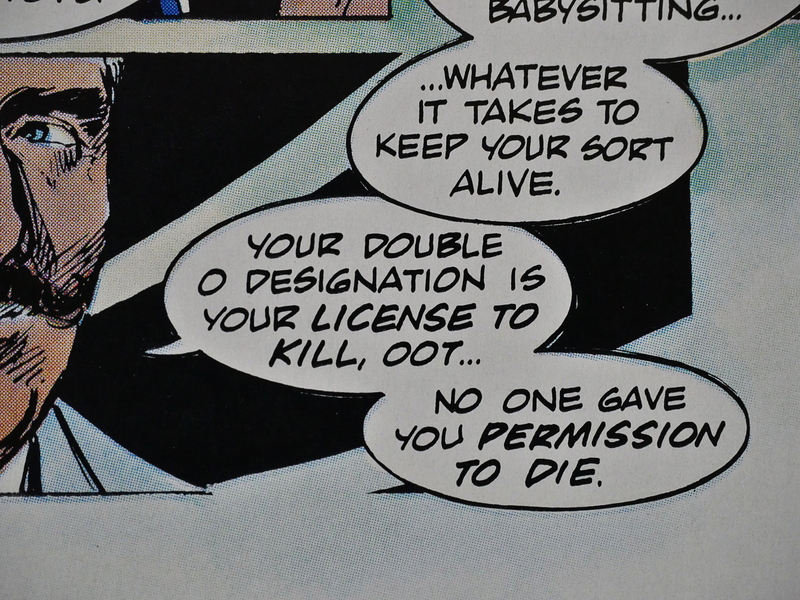 Mike Grell’s work in Permission to Die is equal to that of his other notable works. His story and visuals are cinematic, using new dialogue delivered just as Connery would, throwing Bond in entirely new situations with new villains, yet all of these could easily be found in the next Bond movie. Grell’s art includes fantastic splash pages evoking classic Bond opening credits scenes as well as movie poster poses and designs.